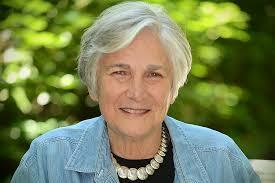 Come Hear Diane Ravitch Discuss Her New Book, Sept. 26, 7 p.m. at Kane Hall, U.W. Don’t miss Diane Ravitch at U.W.’s Kane Hall tomorrow at 7 p.m! The former U.S. Undersecretary of Education is currently touring the country with her new book, Reign of Error: The Hoax of the Privatization Movement and the Danger to America’s Public Schools (Knopf, 2013) and will speak in Seattle on Thursday, Sept. 26, 7 p.m., at Kane Hall, Room 130, University of Washington, (206) 634-3400. Free. Her previous book, The Death and Life of the Great American School System: How Testing and Choice Are Undermining Education (Basic Books, 2011) was a widely acclaimed bestseller. An education historian and professor at New York University, Ravitch served in the Department Education in both the Bush I and the Clinton Administration. She has since become a foremost national authority on public education and a powerful critic of controversial “corporate ed reform” policies that emphasize charter schools, high-stakes testing and teacher evaluations based on standardized test scores. I am thrilled and honored to have Dr. Ravitch’s support. I greatly respect the years of experience and research she has dedicated to public education, and I have drawn many of the same conclusions she has. Privatizing public education via charter schools, excessive testing, and blaming teachers are failed policies that have done great damage to our schools and the morale of our students and teachers. Instead, I support an investment in rich, engaging curriculum for all students, not excessive testing; respect and support for teachers, and keeping public education public. As a founding member of Parents Across America (PAA), in Feb. 2011, I had the honor of speaking and sharing a panel with Ravitch at the organization’s kickoff event in New York City. 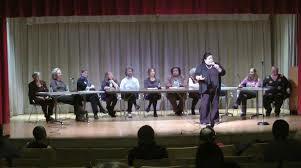 In the fall of 2010, I emceed a forum at Seattle University featuring Ravitch via Skype, educators and public education advocates Dr. Wayne Au, Jesse Hagopian and Dora Taylor, sponsored by the Seattle Education Blog.